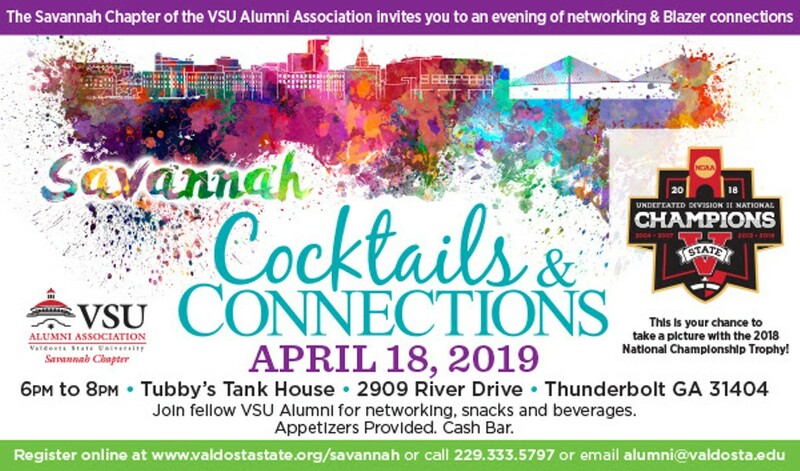 The Savannah Chapter of the VSU Alumni Association invites you to an evening of networking and Blazer connections! Join fellow VSU Alumni for networking, snacks, and beverages. This is your chance to take a picture with the 2018 National Championship Trophy! Appetizers provided with cash bar.